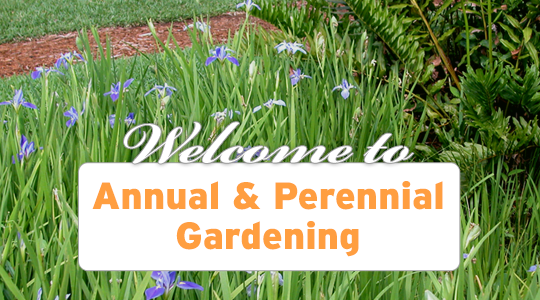 Welcome to Annual and Perennial Gardening! This course is designed to encourage an interest, understanding and appreciation of annual and perennial gardening in Florida. Students will acquire a comprehensive knowledge the identification, selection, use, production and management of herbaceous annuals, perennials, herbs, grasses, ferns, and bulbs in the landscape. Welcome video from the instructor. For Web site problems or suggestions, contact the Webmaster.